My affinity for Japanese food has lead me to the Torrance quite a bit over the last several months. Sure, Los Angeles has both Little Tokyo and Little Osaka (Sawtelle), but Torrance is home to the country’s second-largest Japanese population, and with that some truly great restaurants that cater to a much more “regular” crowd. 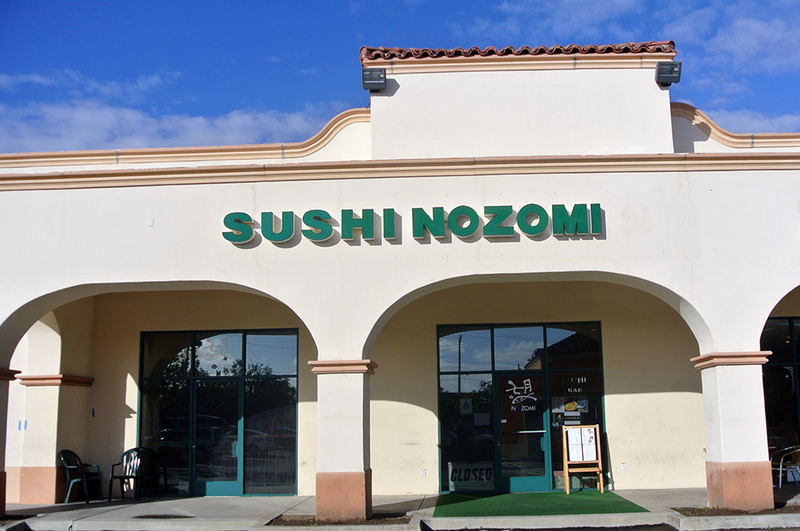 One place that had been on my radar for some time was Nozomi, a sushi bar that shares a rather large strip mall with Torihei and Musha (both really good places in their own right). There’s nothing particularly notable about the interior – sushi bar to one side, tables and private room to the other – which to me says that the focus is entirely on the fish. I stopped in on a Thursday for lunch about 45 minutes before closing and found the place empty save for a handful of tables that were finishing up. 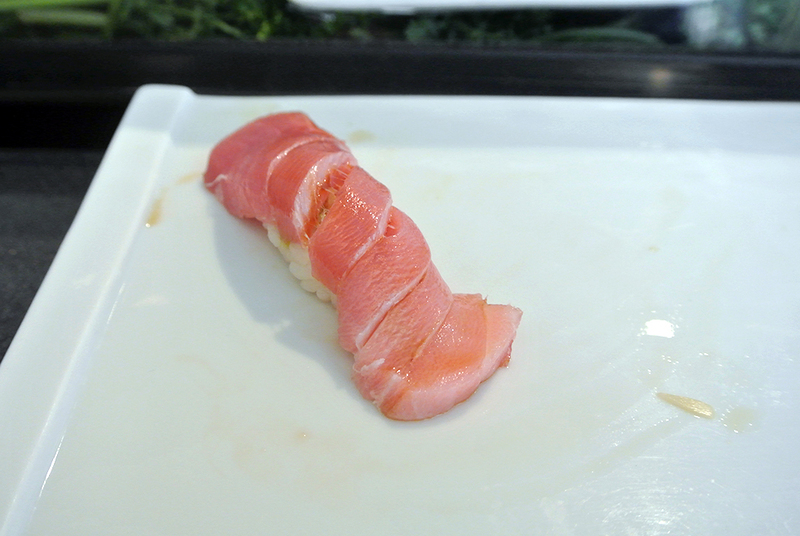 I took a seat at the bar and ordered the omakase at a reasonably priced $38 for ten pieces of sushi plus a toro roll. 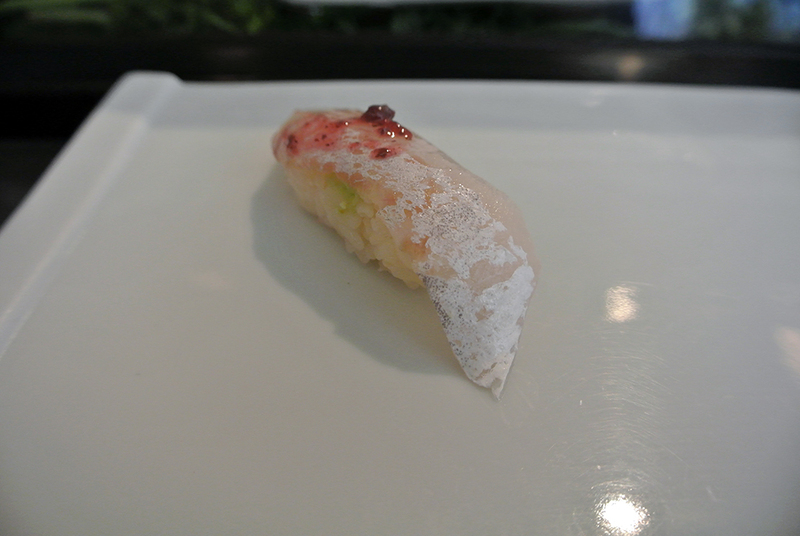 We started with a mild-tasting sea bass that was fairly firm in texture and accentuated by a sprinkling of pink rock salt. I immediately noticed that the rice was exceptional, especially considering how close to closing it was. Definitely a good sign. 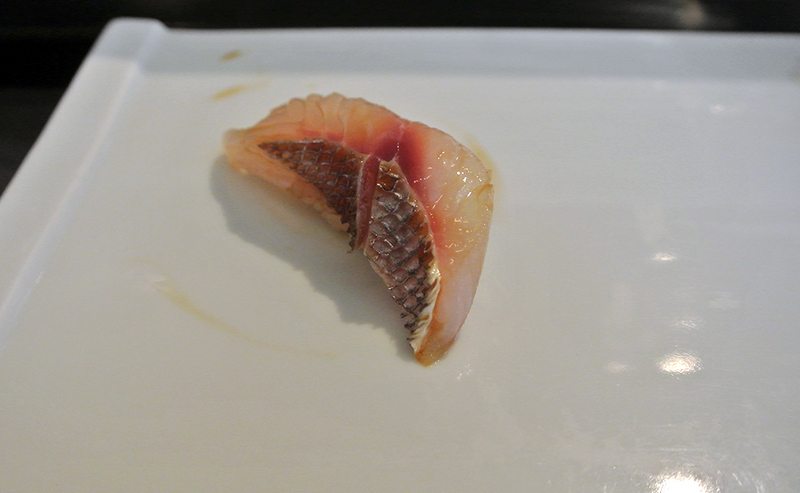 Next up was a slightly chewy cut of sea bream that revealed a sweet flesh and clean finish. 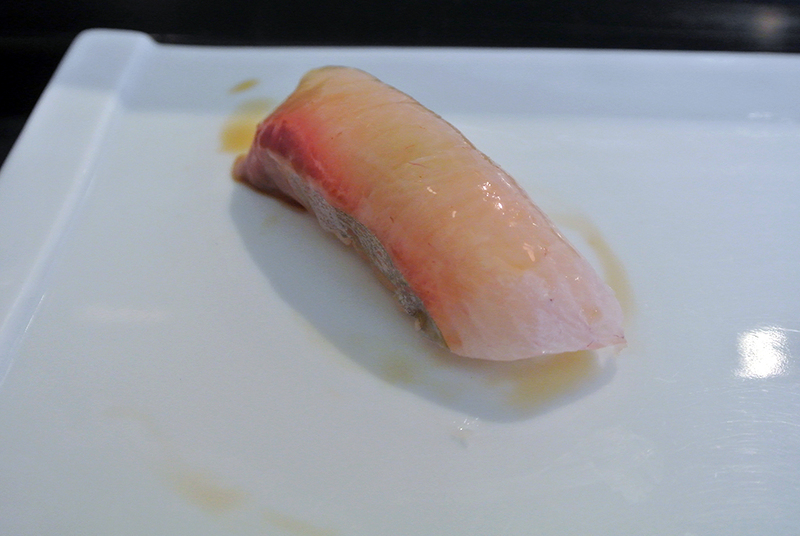 Amberjack was incredibly soft and delicate, and noticeably less oily than it’s close relative yellowtail. This had to have been one of the lushest pieces of basic tuna I’ve ever encountered, to the point that I questioned whether it was in fact chu-toro. Right on cue, toro arrived next, barely able to keep it’s form. It was fatty, oily, and required minimal effort to chew. In other words, it was perfect. 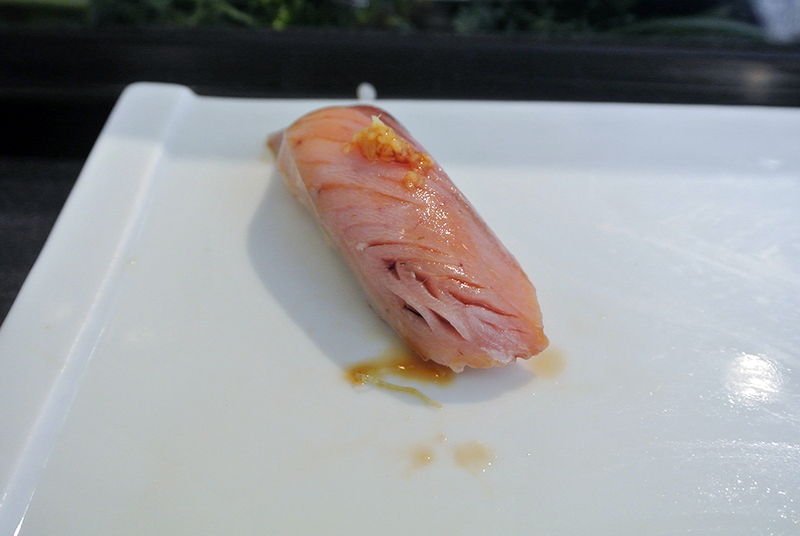 Iwashi isn’t exactly a regular item at most sushi bars, but I’m particularly fond of its oiliness and sharp flavor. A garnish of scallions helped to moderate the vinegary taste. One shiny fish was followed by another, this one being aji. It too was topped with a bit of green onion (as well as grated ginger), but I found the taste of the fish to be a bit more refrained than I had expected. 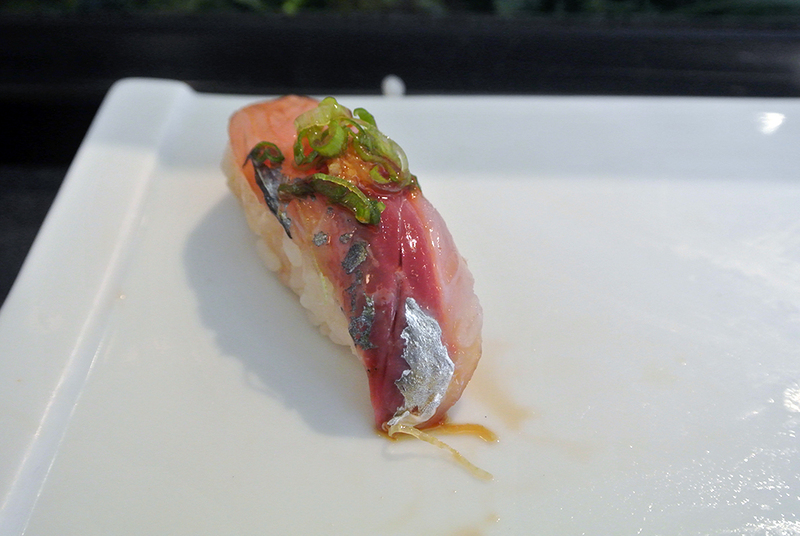 On the other hand, the mackerel displayed a plump, meaty texture that was very enjoyable. 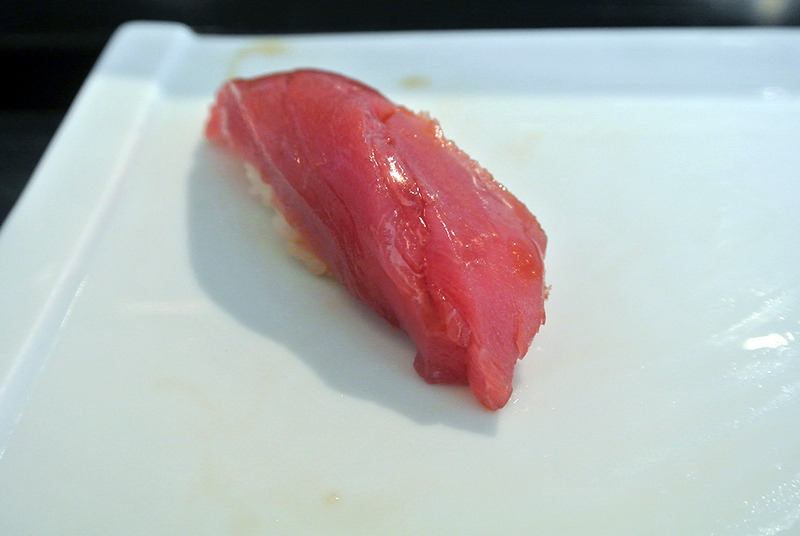 Katsuo was a real treat as it’s not a fish that I come across as often as I’d like. 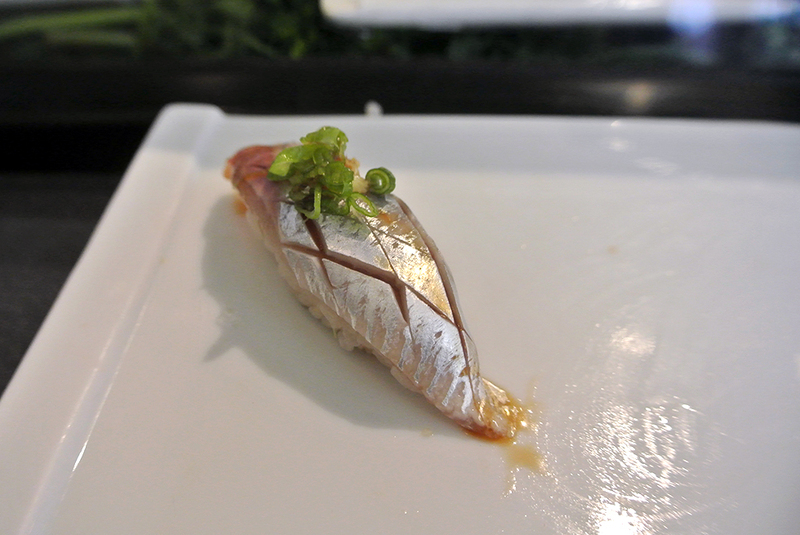 It was accompanied by a smidgen of grated ginger that balanced the fish’s strong characteristics. I regret not having ordered a second round of this one. 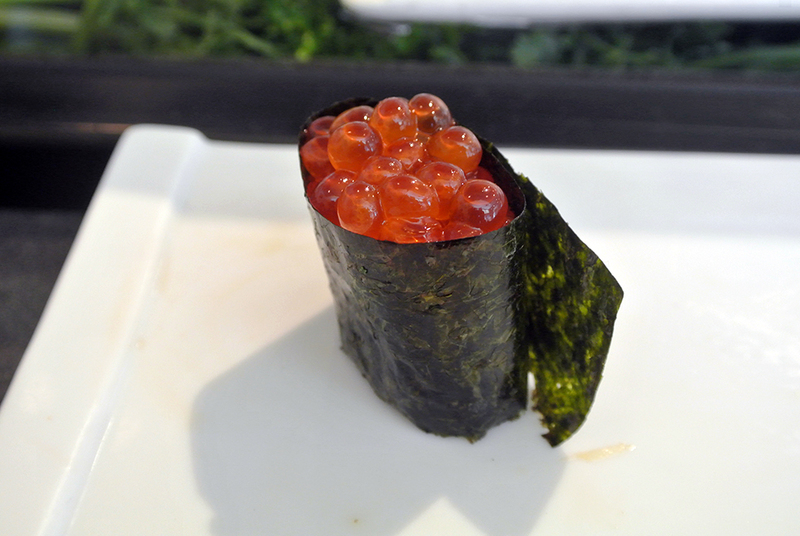 Ikura was solid but not exactly a stand out as it lacked the clean brininess that I usually look for. Nonetheless, the pleasing pop of the orange globules was much appreciated. 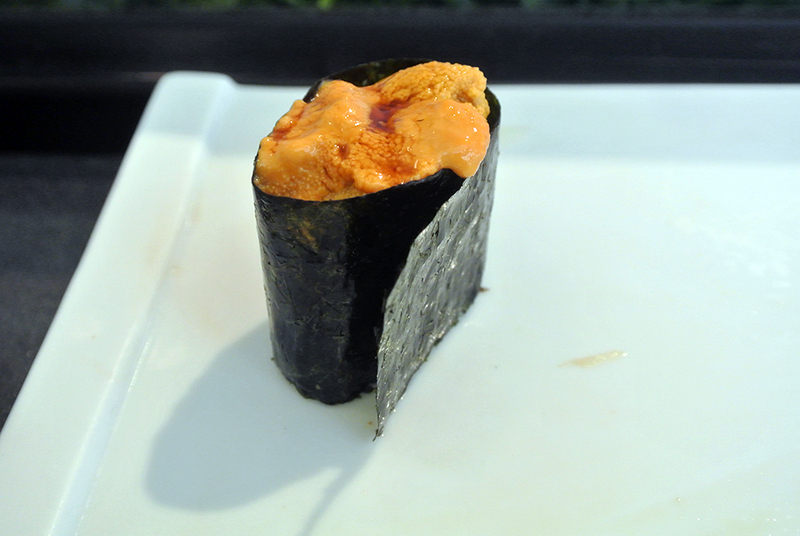 Nozomi is known for having one of the better urchin connects around, and it showed here as the uni was incredibly velvety and creamy with a refined ocean finish. 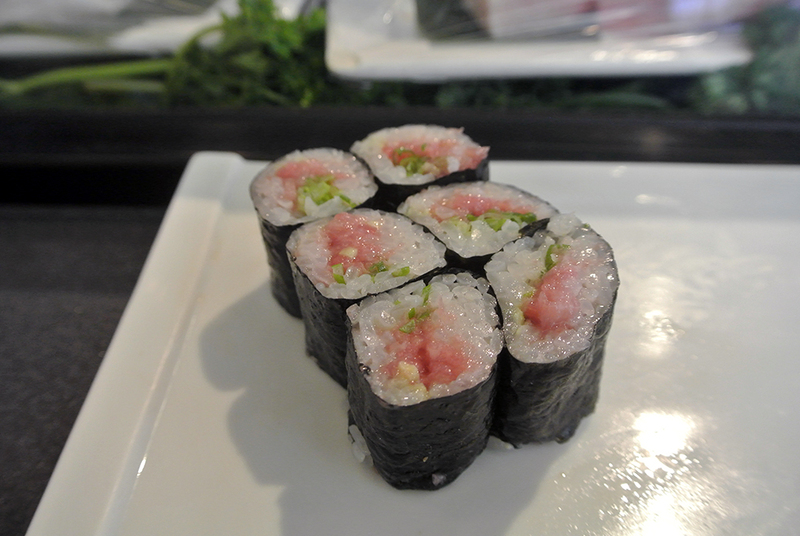 A chopped toro cut roll took the place of the more common hand roll to signal the end of the omakase. The key here was the interplay of the crisp nori and the soft toro that was chopped until paste-like and mixed with scallions, all while the wonderful rice mediated things. I left Nozomi thoroughly impressed, both with the quality of the sushi and with my own restraint in not ordering any additional pieces. Despite arriving towards the end of the lunch service, I never felt rushed or pressured even as the chefs began to clean and breakdown their stations. I look forward to returning for dinner soon to try a more expansive offering of fish (they receive two shipments a week from Japan), especially if the pricing is as reasonable at dinner as it is for lunch. Plus I need more of that top notch uni.